This past month I’ve embarked on producing a live weekly Americana show on KWTF that will feature fresh new releases and the type of music you would expect: influential roots, rock, gospel, bluegrass, and traditional country. I’m looking forward to the excitement of getting on the air at 9am on Thursday mornings and shaking out the latest and greatest. 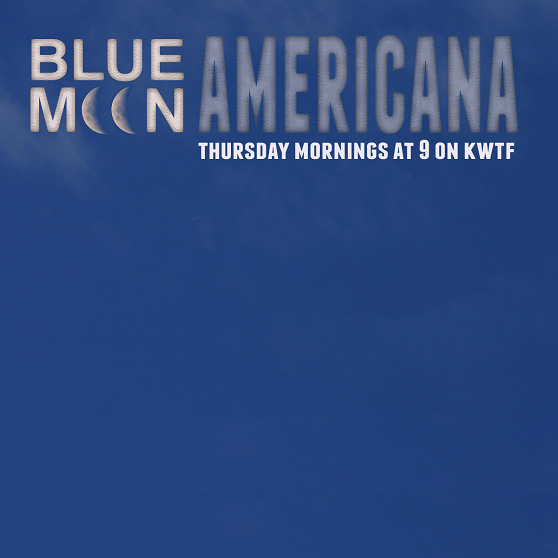 The show is called Blue Moon Americana and they are archived for you listening pleasure right here. 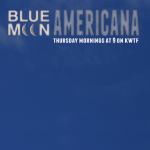 I’ve been working hard curating a collection of the best roots and Americana music that streams daily on KWTF; typically from midnight to three and from 9am to 11am every weekday morning. KWTF is spreading its wings with a mix of New Music and Americana every day. Which leads me to the reason for calling it Blue Moon Americana. We only come on live every seven days; while the other six days are filled with the curated Americana playlists. Simple enough, I suppose. I hope you’ll tune in and listen.